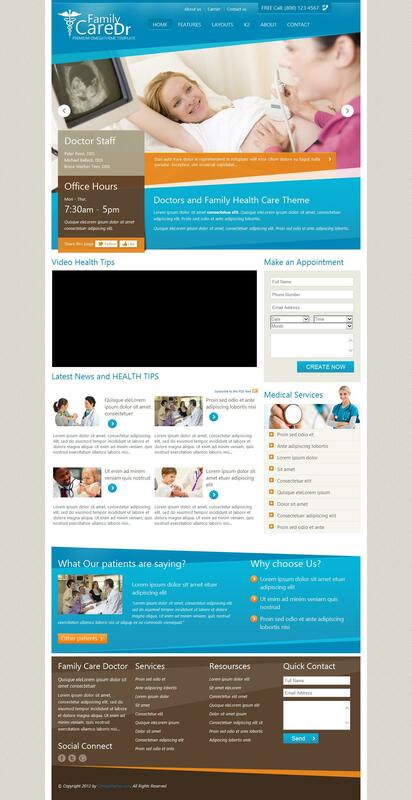 OT Family Doctor - stylish template on medical subjects for Joomla 2.5 from the design studio OmegaTheme. Original template design made in bright colors, a built-in configuration management layout manager that allows you to customize the appearance of the site in minutes. Corporate rotator materials has very flexible settings to display the information on the site according to the requirements. Integrated support for powerful content management manager K2 and additional styles to it, and significantly increase the potential of the template. OT Family Doctor - a great solution for creating medical portals, websites, health centers and clinics.